Felix Rosenqvist finished in tenth place in Sunday’s 90-lap NTT IndyCar Series round at Barber Motorsports Park in Alabama, USA. Rosenqvist got the weekend off to the best possible start by topping the timesheets in opening practice, but then struggled to reproduce his early promise during the rest of the event as he battled with inconsistency. A lowly 17th on the grid marked a disappointing qualifying outcome for the Swede – who qualified third and fifth respectively at the first two meetings – but Rosenqvist ultimately recovered decently in the race to navigate his Chip Ganassi Racing NTT DATA car up to tenth place. 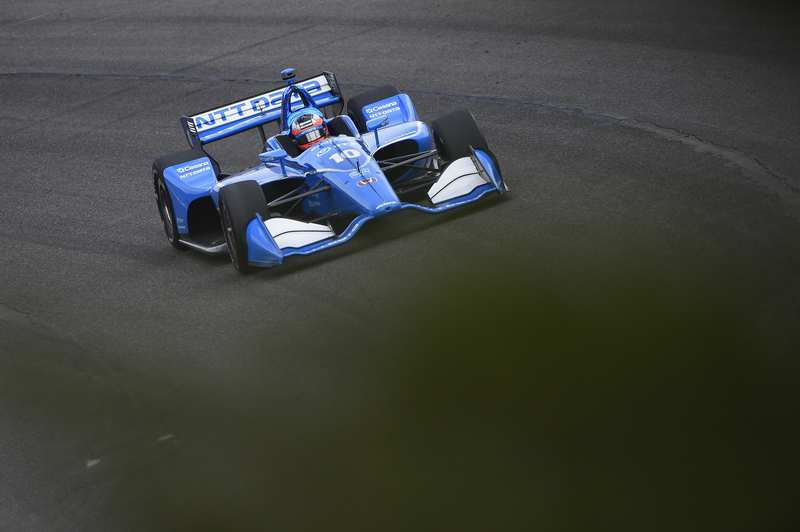 Takuma Sato clinched victory in the near two-hour race, edging reigning IndyCar champion Scott Dixon (Rosenqvist’s CGR team-mate) and Sebastien Bourdais. “It was a long race,” says Felix Rosenqvist. “Unfortunately, I just didn’t have the pace this weekend, so I had to take what I could get. My tyres went off very quickly and I got a lot of oversteer. We were also unlucky with one of the pitstops during the caution period, when the pits closed just as I was driving in. I had to pass through without making my stop, which forced us back in again a few laps later. That caused us to lose a couple of positions, although it could have been a lot worse. The NTT IndyCar Series fraternity now immediately moves on to California, where the next round of the season takes place on the famous streets of Long Beach next weekend (April 12-14).